Your big day is about to arrive. In just a few short months you will sever your academic umbilical cord and catapult yourself into the uncharted waters of the job market. Now I know there are many people (maybe even your own family members) who have told you to stay in school just a little while longer to get your Masters Degree. There are also some who’ve said, “In these dire employment times! Get a government job.” There’s even a third group that has suggested you pack your bags and head out of state because there’s nothing for you here. I don’t blame you if you’re in a quandary. I would be too. No amount of well-meaning backward looks to “when I graduated college,” will help you make this critical decision, but make it you must. There really should have been a mandatory course in Crystal ball gazing 101 that could have prepared you for your future, but there wasn’t. This is one of the most important decisions you will have made during your entire four years of undergraduate study, and depending on your choice, it could have a tremendous influence on your life. If you are a New Mexico native and have your ‘people’ here, the obvious question is, “Do you want to leave your support group behind and move out-of-state in search of employment?” For close-knit families, this is a tough one. Who wants to see a son or daughter pack up a U-Haul and motor out of sight? Not many, I’d wager. Those of us who’ve lived farther than a day’s drive from home know what I mean when I say that moving away is a growth experience and hard to duplicate when you’re living with your parents. Moving out of one’s comfort zone sometimes means actually moving out of one’s comfort zone, physically, but these moves needn’t be traumatic. They do require a fair amount of planning, though. Normally, my thoughts don’t automatically go out to college students, but after seeing a powerpoint generated by UNM’s BBER (Business Research Office) that painted a pretty dire picture of the New Mexico of the near future, I suddenly had the urge to do a Paul Revere, saddle up my horse and warn the students that the red ink was coming and they needed to take cover! Then I came back to earth and realized that they’ve probably been thinking about their employment options and future for years and have a pretty good handle on what kind of work they can get. As a card-carrying member of the so-called baby boom generation, I’ve been pretty fortunate. Apart from a dicey time in the oil crisis seventies and the recession of the mid-eighties, America has been able to offer a job (not necessarily the best paying job) to anyone who wanted one, providing you were a high school graduate or weren’t living in a part of the country hit by severe fiscal drought. Option #1: stay at home and add another different degree to your education, this time one that can get you a job. Option #2: join the army and get some practical world experience. Book learnin’ and boot camp are a good combination; ask any would-be employer. Option #3: apply for a position with an NGO (non-government organization) to get some entry-level experience. Option #4: join the Peace Corps and see the world for a couple of years. Option #5: get a government job, but promise yourself to quit after four years. Option #1: Do some research on prospective employers’ cultures and make a short list of where you think you could make a difference – for them and for you. Option #2: Take a short-term intern position if you can’t find a full-time position. Anything on your resume is better than nothing at all. Option #3: If the New Mexico pickings are lean, move to a nearby state (try Texas for awhile; it’s close enough but not too far away). Option #4: Find some friends and start your own small business. There are a couple things I want you to remember, though. Your life is your life. It’s a work in progress and may take you far from your chosen field. Just be sure to keep your eyes, ears and your options open and be willing to re-invent yourself. Success, if not satisfaction, is often built on adjusting our expectations and re-positioning ourselves to changing circumstances. Oh, and don’t forget to enjoy the ride. If a mind is a terrible thing to waste, how come we’re wasting so many of them? Alarmingly high dropout rates are signaling the exile of millions more young people to the ranks of the semi-literate. Can the U.S. really afford to lose another whole generation because we can’t find the courage to revamp our educational system? We see it every day. Man on the street interviews reveal how awful our schools are. Nearly 60% of those asked didn’t have a clue. Of those answering correctly, a tiny percentage even knew the century when America’s revolution took place. Here in New Mexico, we lose thirty-eight out of a hundred potential high school graduates each year to dropping out. Their lack of a high school diploma will doom them to a lower rung on the socio-economic ladder and a life of low or minimum-wage jobs. While I applaud the efforts being made by hard-working teachers and administrators to reverse the situation, it’s a little like pushing a snowball up a desert sand dune in July. Instead of trying to reform the status quo, maybe we should replace it, entirely. Changing what we teach, how we teach it and when we teach it might be the answer. This applies to the total schooling experience in primary, middle and high school years. If we are going to prevent students from dropping out, we must give them a reason for staying in school. To do that we’ll need to front-load new and exciting curricula, early on, to keep students’ interest levels high. And, though it may sound distasteful to some, we’re going to have to sell that new curricula, energetically and creatively! Due to our lousy economy and resultant dwindling tax bases, the amount of funding earmarked for public education is dropping fast, and along with that drop many elective or so-called ‘expendable’ after school programs are biting the dust. Our educational system is also affected by our politics, and should we continue on the same ideological political path we’re on, our school curricula might need some revamping. New courses might be: Learning to develop your victim status; How to get the most out of government entitlement programs; Using ethnicity as a bargaining tool; The benefits of wealth redistribution; How to demonize the opposition; How to cherry pick your facts; and finally, How to organize a successful protest. Obviously, these are not my suggestions for the new age curriculum. I’m just making a point about how politics can change what we teach our children. It can encourage them to be open-minded and inquisitive or be politically correct and self-censoring. How to rein in your own selfishness. I’m sure we could find some intelligent educators that would be happy to teach them. Time is running out for our young people. If we don’t change our approach to educating them we will find ourselves paying the price in the crime and substance abuse statistics, more social illiteracy, rising unemployment and general societal dysfunction. Readin,’ writin’ and ‘rithmetic still have a place in the little red schoolhouse, but unless we throw open the windows and let in the light of new common sense-driven curricula we’ll continue taking two steps backward and one step forward and end up with a society that can’t even live with itself let alone with others. I do not recognize my own country anymore. I grew up immediately after WWII, the beneficiary of the hundreds of thousands of lost lives sacrificed by the previous generation who died defending my rights. We spoke of these people as selfless patriots who did their duty, full well knowing that they were subordinating their lives to ideals that were greater and more powerful than themselves. 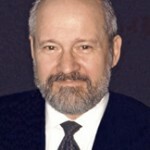 That our privacy would not be invaded by our government; That our borders would be preserved and protected and that those who violated our immigration laws would be prosecuted or deported; That our multi-ethnicity would not be used as an excuse for the de-Americanization of America’s values and the breakdown of the homogeneous nature of American culture. Many of us today are frustrated, angry and resentful at what our country has become. Our frustration is based on a sense of helplessness that our government has moved us so far from our natural orbit that we cannot be brought back into alignment with the gravitational pull of our Bill of Rights and Constitution. Our anger is grounded in a deep-rooted belief that our institutions have failed us AND it is directed at the ‘opposition’ that seems determined to take us down a road that is diametrically different from the one our Founding Fathers laid out for us. We’re also angry at ourselves for not keeping the rest of us honest and resentful that the others don’t share our concern. This intense frustration, anger and resentment is nearing the boiling point, and the only thing that will keep it in check is, ironically, the very system that we feel has failed us. We may be running out of opportunities to redress its deficiencies, and while the ballot box is the traditional means of doing so, I’m not sure that it will be enough for the millions of American citizens who feel abandoned and lost. Internationalizing New Mexico: What stands in our way? Both answers are true, but there’s much more to our internationalism than meets the eye. I know, because I’ve been involved in international business and tourism for 30 years, first as a private citizen and then for 20 years as an American diplomat. I’ve lived and worked in over 24 different countries in the developed and developing world. Then I moved to New Mexico. While many states have pockets of foreigners and enclaves of foreign companies that provide valuable jobs and tax revenue, most states have foreign students enrolled in their colleges and universities (they provide a very important revenue stream and justify the international programs created for them). New Mexico is one of those states and UNM has most of them (approx. 800-1,000). This isn’t obvious to the layman because UNM doesn’t actively promote this fact. When I was President of the Albuquerque Council for International Visitors I often speculated on why UNM’s international personality was largely a ‘best kept secret.’ I thought it might be that: a) the university was unaware of the importance of those students to its bottom line, b) it was embarrassed by the low number of them (our neighboring states have much larger foreign student populations), or c) it didn’t feel it was necessary to promote that fact. Since starting the New Mexico IQ (Internationality QuotientTM) Project, I now know from my dealings with UNM that it’s a bit of all three, and that’s a pretty sobering reality, especially since we have so much to offer foreign students. New Mexico should be on the short list of many students’ education destinations. Our state is attractive, has a long and rich heritage as a research-friendly environment, and we have a fairly low cost of living. We’re close to other travel destinations that might appeal to young people, and we have a pretty diverse ethnic population (that should make foreign students feel right at home). Most at UNM don’t have a clue about the depth and breadth of their own university’s international programs and relationships (I know this from my conversations with university representatives and professors). Absent that knowledge and without a sound narrative to go with it, UNM cannot market or brand itself outside the palace gates. Who can blame them, really? They’re academics and too often focused on the theoretical. If UNM, which is often called, ‘Our Flagship University,’ is to be successful in increasing foreign student enrollment it will need to start thinking like foreign students (and their families), get organized internally and team up with experienced professionals from the private sector to tell their story. While the jury’s still out on their ability and willingness to do so, the revenue clock is ticking and students are choosing their future colleges even as I write. “Businesses vote with their feet,” and they locate where the incentives are best. New Mexico is both ‘on the way to somewhere else’ (to larger population centers) and sufficiently attractive to offset our somewhat uncompetitive re-location incentives. Because of our climate (over 320 sunshine days/year), we are an excellent place for solar companies to locate for research, testing and manufacturing. Two outstanding solar companies from Germany are in Albuquerque: Schott Solar and CFV Solar Laboratory (one manufactures and the other tests). The Japanese Government, along with nineteen Japanese companies, has a joint venture with Mesa del Sol (Albuquerque) and Los Alamos County to build solar demonstration plants in both locations. There are other foreign companies that call New Mexico home, too: Sennheiser (manufactures cutting edge acoustic equipment), Heel, Inc. (produces homeopathic preparations) and Sud Chemie (makes products for the pharmaceutical industry). That’s the good news about our international footprint. The bad news is that we’ve not ponyed up enough money to adequately promote ourselves abroad. The current administration in Santa Fe drastically reduced the budget of the New Mexico Economic Partnership (the state agency charged with selling New Mexico), thereby limiting its ability to travel and do its job. Fortunately, they’ve hired a new man to head up the office, an experienced economic developer from Las Cruces; he may be able to make lemonade out of the lemons of a meager budget. I wish him well. If we want to attract more foreign companies to NM we’ll have to start working more closely in a true public/private partnership where every New Mexican business becomes a ‘goodwill ambassador’ for the state. No sensible state-driven tourism plan can afford to exclude foreign tourists from its sights, as foreign tourists generally leave a small footprint but larger than average ‘dollar print’ on the communities they visit. In my former capacity as Chairman of several ‘Visit USA Committees’ overseas, I worked with the Travel Industry Association and all fifty states to boost their international tourism so I know its value to a state like ours. We need to forge stronger ties with foreign tour group operators and travel packagers AND with more foreign journalists through ‘FAM’ (familiarization) trips to the Land of Enchantment. Uncle Sam’s contribution to New Mexico generates $6.0 billion each year to the NM economy and funds Sandia National Labs and Los Alamos National Laboratory. Both labs have extensive international relationships and scientific exchanges as part of their projects. That’s good news for all of us, but while these exchanges do much to further specific research, they do little for our local communities (except in those rare cases where the research leads to pilot projects). Here’s an area where we can do better – by convincing lab leadership to share these relationships with the business community at large, thereby widening the circle of ‘likely favorability’ in similar fashion to the international tourists I mentioned above. The labs also need to join forces with municipal leaders to promote New Mexico’s Internationality Quotient and candidacy as a potential re-location site. We know we’re a diverse society here in New Mexico, but the outside world needs to hear the message more frequently and convincingly. Fortunately, there are a number of local internationally-minded organizations that have done an outstanding job interfacing with foreign governments, companies and ‘citizen diplomat’ groups around the world – usually with little or no funds. There is the Albuquerque Council for International Visitors, the Santa Fe Council on International Relations, the Albuquerque Sister Cities organization and Friendship Force, to name but a few. Each has their own programs and activities, but all are internationally-oriented. We need to support them so they are able to extend their reach. There are also outstanding individual New Mexicans like anthropologist, Dr. Gordon Bronitsky, who has spent most of his adult life working with indigenous peoples around the world in the performing arts (traditional and contemporary) and festival development. Many of the performers he works with have come from and to New Mexico largely through his tireless efforts–including touring a Zuni dance group to Mongolia, a Navajo dance group to Estonia, Latvia, Italy, England, the Philippines, The Netherlands and Dubai, and a fashion show in Moscow for a Navajo designer from Gallup! Dr. Bronitsky’s success has been earned the old-fashioned way…through a combination of hard work and an unusually high degree of flexibility. Finally, there’s government, both state and local. New Mexico has had a spotty history of state government support for ‘going global.’ Some governors have embraced it, and some have largely ignored it. It’s not even a blip on the Legislature’s radar screen. Most people don’t know that the Government of Japan signed a Memorandum of Understanding (MOU) for scientific and business cooperation with the State of New Mexico or that we are the ONLY U.S. state that has such an agreement with that country. Dramatic state government budget cuts have reduced funds for pursuing the opportunities inherent in this MOU and they have severely limited our activities in another important area, international trade. The Economic Development Department has had to reduce the size of its international trade staff, and these cuts have also hampered their ability to travel to high-potential target markets. The Legislature needs to be aware of the importance of New Mexico’s international relationships and their impact on our society in order to stand squarely behind the Governor should she choose to adopt an internationalization initiative. Municipalities, too, have an important role to play. They can set up special advisory councils, comprised of internationally-savvy, experienced individuals who can contribute their special expertise to the crafting of municipal plans for the recruitment of foreign companies and for developing new international activities. Our middle schools and high schools need to be ‘discussion incubators’ of new curricula that includes geopolitics and economics as they relate to actual functioning markets and governance. If we are to take this next crucial step on the journey to true internationalism, we must have a thorough understanding of the size, scope and value of our current relationships. That will require commissioning a comprehensive impact analysis of our state’s relationships including foreign direct investment, jobs, tourism and foreign students. It may be a way for UNM to begin the process of self-examination, because its own research arm (BBER – the Bureau of Business and Economic Research), could conduct the study. They should make this a top priority. Perhaps UNM’s new president will take on the challenge and set the wheels in motion. One can hope. The Next 100 Years: Land of Sopapillas and Chilies or Chips and Bytes? Judging by the great strides made in technology over the last 100 years, we can expect massive change during the next century. The world as we know it will be gone. It will be replaced by one that is shaped by the forces of technological growth, increasing social pressure and by dwindling resources and a crisis of governance. If our economy survives without too much injury, we might be able to revive capitalism to the point where we can export the philosophy to more countries in the emerging world and gain a competitive advantage through mutually beneficial trade and investment agreements with them, and perhaps even manufacture for them! With more wealth will come much more technology. The world of 2112 will see distances between countries, cultures and communities eroded even further, enlarging the neighborhood and allowing more people to interact with one another over the internet on devices as small as a pencil. The New Mexico Spaceport will stimulate the growth of a vibrant, modern materials and aeronautics/space research sector that will create thousands of high-paying jobs. Our homes will be interactive and individually programmed to respond to voice commands (even from our smartphones). When coupled with Artificial Intelligence (AI) they will ‘get to know us better’ and anticipate our desires, teeing up the system by responding instantaneously to our wishes. “Lights on, heat down 2 degrees, security system armed and start perimeter recording at maximum sensitivity level.” A grasshopper won’t be able to get through the average 2112 home security system let alone a human intruder because our AI home will go into lock-down mode, automatically reinforcing our smart windows and doors that can go from normal tensile strength to bulletproof level protection in seconds due to advances in new, space-age materials. Computers and computer microprocessors will be imbedded or merged into many new products, and these integrated circuits (chips) will be reprogrammable by their users to accommodate new requirements and applications. Holograms will take the place of DVDs and videos and will be viewable in life-size. They will also be programmable to act as opponents in games and as conversation partners, thereby ending loneliness for millions of people. Education of our children will take place earlier and earlier, starting in the first few months of life with ‘crib ed’ where newborns and infants learn languages and are even tested at home from remote testing sites. New, government-funded ReTraining Clusters will be formed to deal with the chronically unemployed. The RTCs, which will be electronically networked with all American businesses and all state Labor Departments, will closely monitor the workplace (job) needs and re-train America’s unemployed or underemployed workers for those jobs. A new type of high school curriculum will be instituted in America’s schools. It will be built on a uniform aptitude test given to all middle school students. Each student will be voluntarily ‘directed’ to a curriculum specially suited to his/her aptitude and skills that will continue throughout the six high school years. Those having chosen that path and graduating will be awarded a 100% scholarship to a nationally-funded school of higher learning/training that will match up their skills with the needs of the business community and society at large. The University of New Mexico will be privatized and no longer be a drain on the state’s budget. It will segment itself into several profit centers and will triple its international student population and generate important revenue from scientific and other partnering. Solar and wind power, hydrogen, bio-algae and biomass fuels AND traditional energy sources will play a role in the next 100 years. The ‘all of the above’ solution will be the only viable one for our personal transportation and home energy needs until the perfect balance is found between imported oil and domestic production. New Mexico will become the Alternative Energy Capital of the United States as the state develops its bio-algae, biomass, solar and wind resources (the state will actually produce enough bio-diesel fuel to power all of the vehicles in the federal fleet from its massive bio-algae GreenWay park in southeastern New Mexico). Important federal grants for renewable energy projects will be given to New Mexico to offset the reduction in force and mission at Los Alamos National Laboratories (a victim of significant federal budget cuts). The state of New Mexico will be given permission to commercialize all renewable energy technologies in a three-way partnership with the federal government and the private sector. In the year 2112, there could very well be a supra-national government, based on the United Nations model that governs specific global areas like: food and energy production, monetary and financial matters and maybe even sets standards for a host of other things. We could see the world operating on an intellectual property or idea standard alongside a world currency where countries with patents and ideas generate royalties and enjoy a financial advantage. We may see a merging of the House and the Senate into a unicameral body (this will come as a result of the gridlock that will nearly paralyze our legislative efforts to govern ourselves). Our state government will be an on-line 24-hour accessible one and our legislature will morph into a full-time paid one with regular sessions that mirror the federal legislative calendar. New Mexico will enter into a program of ‘Enterprise Zones’ that will be formed with Colorado, Texas and Arizona that harmonize taxes and incentives, enabling the state to better compete with the rest of the country for out-of-state direct investment. New Mexico will also begin offering a special Retirement Investment Incentive (largely a package of tax reductions on personal income tax, sales tax and property taxes) to those willing to purchase property and retire in New Mexico. It will become a popular incentive and be copied by other states. The New Mexican political landscape will also change to reflect a growing dissatisfaction with the two traditional political parties. Voter registration will see a significant increase in the number of independents in the State resulting in a new political makeup of 25% Republicans, 30% Democrats and 45% Independents (the Independents will be absorbed by two new political parties that will spring up in the second half of 21st century). Unfortunately, we will lose some of our personal freedoms in the coming 100 years as new terrorist attacks turn us into a more insular and protective society instead of an outgoing one. Crime will increase, but new types of penalties for minor crime will take the place of incarceration, so our prison population will decrease. Each new citizen will be DNA tested at birth by law and get a Genetic Profile Prospectus (GPP) that will give him/her an ‘odds and probabilities’ assessment as to which diseases that he/she could succumb to and which preventative or cautionary lifestyle choices he/she should make. This GPP will become part of our national identity card and follow us all through our lives. Many of us will rarely leave our homes. We will work, remotely, and even direct our businesses from our computers, but for those who must travel, they’ll be taking to the air. We won’t have flying cars, but we may have flying mass transit for short distance travel. Flying maxi-taxis with designated routes (flight plans), capable of transporting 50-100 people high above our freeways will be standard fare. Our four-wheel transportation will utilize hybrid fuel technology that will incorporate several types of energy sources: electric, fossil fuel, biodiesel and even solar. In order to get consumers to buy the newer vehicles, government will offer deep discounts and other incentives such as fuel rebates and even matching funds for vehicle repair. In New Mexico, our Rail Runner will give way to a sleek monorail that is built down the middle of I-25 and I-40. It will carry passengers from Socorro to Santa Fe and from the Greater Albuquerque area to Moriarty. The price of the tickets will be subsidized by a surcharge on businesses and by property tax increases along with a direct Dept. of Energy grant from the federal government. Chilies and Luminarias, starry skies and broad vistas will remain largely unchanged as New Mexico will lag behind other states in population growth (unless no progress is made on stemming the tide of illegal immigration), due in large part to finite water resources. Living in the next century will be a challenge, especially for those who believe that technology should occupy a smaller footprint going forward. The next hundred years will demand that we all learn more and do more with that knowledge. Much will be asked of us, but I’m confident that New Mexicans will accept the challenge and figure out a way to make decisions that will reflect our chosen way of life. We are, and will continue to be, the stewards of the land that we call, enchanted. Should teachers be provided with federal income tax relief? A bedrock principle of our society is that we obey laws and follow rules. And one set of laws where voluntary compliance is critical involves the collection of taxes. We currently have the world’s most efficient tax collection system because most Americans scrupulously obey these laws, even as tax rules grow ever more complex. Our political leaders, however, cannot expect compliance to go on forever when tax unfairness is rampant. This disparity is particularly clear in New York City – where the South Bronx, the poorest urban county in the country, lies just 10 miles from the excess of Wall Street. One starkly unjust tax provision once again garnering attention – this time as part of President Obama‘s American Jobs Act – is “carried interest.” Since the mid-1980s, the performance-based management income earned by a few thousand extremely wealthy private equity, hedge fund and other money managers has been taxed as capital gains, when all that these managers do is manage money – specifically not their own money – for other people. This management income, in form and substance, is no different from the management income that hundreds of thousands of other managers earn every day from the results of the businesses they oversee. Yet carried interest alone is taxed as capital gains, while everyone else is taxed on ordinary income. Because the 15% capital gains tax rate is less than half the 35% maximum ordinary income tax rate, the cost to the Treasury is massive. We estimate annual loss of tax revenue from carried interest is at least $10 billion a year, or $100 per American household a year. Our state manages 41% of the world’s hedge fund assets, more than any other city on Earth. Investment partnership managers say that reforming carried interest would create an “investment tax” of sorts, with dire consequences for the American economy. Yet the consequence would only be to the managers’ incentive fees. This has to change, and we believe we have just the way to do it. It is time to convert carried interest into public interest by redirecting this annual $10 billion tax break to people who actually need it, namely America‘s K-12 teachers – some 80,000 of whom work in New York City, the largest public school system in the country. The $10 billion a year gained from ending the carried interest exemption, in fact, is just about enough to waive the income taxes on those who choose to teach our children – enabling us to give refundable tax credits to K-12 teachers based on their qualifications and teaching specialties, in order to increase the pool of teachers in critically important areas such as languages, math and sciences, and instructing disadvantaged students. America has a long and successful record of using the tax code to reward desirable social actions. In the 1960s, we gave income tax relief to VISTA and Peace Corps volunteers because their work was deemed so important, and today, we proudly give substantial relief to our courageous active-duty military personnel. Teachers are just as patriotic and important, and vis-a-vis all other municipal professions they are far and away the most difficult public servants to recruit and retain. New York City’s teachers serve more than a million students in nearly 1,700 schools. All informed citizens want high teaching standards and accountability. But they also understand the economic plight of our K-12 teachers is a major obstacle when it comes to developing top talent. Providing federal income tax relief to teachers would be a powerful response to this demand, and an important step toward restoring the health of our national economy and our global competitiveness. Properly taxing carried interest is the means to this end. This article was submitted by Leo Hindery who is chairman of the Smart Globalization Initiative at the New America Foundation and former chairman of Teach for America. Kerrey, a former U.S. senator from Nebraska and earlier its governor, is president emeritus of the New School and currently executive chairman of Global Scholar in New York City. The New Mexican Voice takes you there! To read these news stories, find the newspaper on the right and click on it. ABQ Journal – NM flights Costing $1.2 mill. As of July 26, the USGBC-New Mexico Chapter will be located in the Associated General Contractors-NM office at 1615 University NE. Our email and phone remain the same. A special thanks to Vicki Mora, Chief Executive Officer of AGC, who has made this space donation possible! Another huge thank you to the New Mexico Design Center that has provided the chapter with office space for the past two years! USGBC-NM is sponsoring a workshop on Wednesday, Aug. 17, 2 – 5 PM, in partnership with the New Mexico Green Chamber of Commerce, to show you how to find ways to reduce your environmental impact while using low- and no-cost resources. Carrie McChesney of Concept Green will present the course. Carrie’s firm is a 2011 Women’s Business Enterprise Rising Star nominee and national recipient of Green For All’s Capital Access Coaching Program for emerging green businesses. 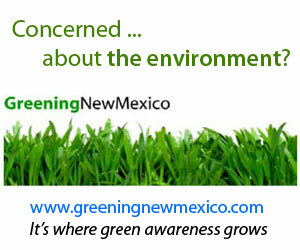 NM Green Chamber members will receive same discount as USGBC-NM members. August’s webinar (1.5 GBCI/LEED ND/AIA CEU’s) will be presented on Wednesday, Aug 10, at Palo Santo Designs in Santa Fe and at the Design Group in Albuquerque. A second Albuquerque showing will be held Tuesday, August 16. Bring lunch, connect with peers and earn easy CEU credits! It is such a pleasure to have the opportunity to write and contribute to the amazing conversations going on around the world on the welfare of orphans and vulnerable children. The Goromonzi Project Inc is a 501c3 (tax deductible charity) that was founded by a New Mexican resident, Janet Shaw. Shaw who is originally from Zimbabwe was visiting the Southern African country and she came across numbers of children who were not in school. On enquiring further why these children were out of school she was shocked to learn that these children were orphans and had no one to pay their school fees. On her return to Albuquerque she immediately got some friends together and this marked the birth of The Goromonzi Project. Over the past four years TGP has assisted over 500 orphans and vulnerable children to access education, food, health and material provisions. This number can increase with your contribution. These children are no different from those in New Mexico it is only that their life circumstances are different. TGP is currently running a program that is increasing access to early education for orphans and vulnerable children. Through this program we have managed to secure support for the renovation and equipping of four rural preschools, providing a breakfast meal for over 400 children, increasing access to health service provision for the same number of children and engaging grandparents and guardians in conversations on revitalizing community safety nets for orphans and vulnerable children. This work has had a lot of impact on the communities being served and a lot of children are getting hope for a better future. TGP works to empower the communities to take responsibility and ownership of the programs. In this way there is sustainability in the work we do and that the communities are empowered to continue caring for their children after we have exited that community. In our work over the years we have learnt that in identifying community strengths and building upon them, successful interventions in orphan care are realized. It is important to realize that these communities were looking after children since time immemorial but what changed was their economic situation, their way of life and the political system within the community and country. The community strengths therefore help us identify the mechanisms used traditionally for social protection. Education is one of those mechanisms that can be used to enhance the social protection of children. TGP through the early learning centers is able to reach out to young orphans and vulnerable children to give them an opportunity to play and learn at the same time. Research has shown that once children are involved in the learning system they grow up to become responsible citizens who harness the opportunities that are presented to them. The children in Zimbabwe have not been able to get those opportunities because of them who are orphans do not have anyone to pay the required fees. TGP has in this case engaged the communities to make sure that the children benefit from early learning through the preschool program. Once the children are in school, as they grow their interest in education grows and hence they will stay within the school system and grow to be responsible citizens. Once educated these children are able to live a life full of possibilities and have hope for a secure and brighter future. You too can give hope to these children, visit our website on www.goromonziproject.org or email me at patrick@goromonziproject.org to learn how you can contribute. Over the next couple of weeks I will be writing in this column about the issues affecting children in Zimbabwe and how we can all be involved. I also would love to have feedback from you on this and other issues. Happy reading, until next time! “Charter schools are truly the change agents and disruptors in public education today. Their innovative approach to governance, budgeting, staffing, scheduling and curriculum – coupled with their small size – has energized students and parents,” said Senator Boitano. “Charters have long waiting lists in my school district. I’ve already seen a significant change in our traditional public schools in New Mexico because of the reforms pioneered by our charters.” New Mexico Senator Boitano has demonstrated steadfast support for public charter schools during his 11 years in the legislature. In particular, his sponsorship of the 1999 Charter Schools Act and leadership in strengthening it in 2006 continues to open up countless new public education opportunities for children, teachers and principals throughout New Mexico. Joining Boitano in receiving this year’s recognition are U.S. Representative Howard P. McKeon of California, Los Angeles Mayor Antonio Villaraigosa and Rhode Island Education Commissioner Deborah A. Gist. Today marks the beginning of the 12th annual National Charter Schools Week celebrating the ways in which charter schools are helping children and families. Charter schools are independent public schools that are free to be more innovative and are held accountable for improved student achievement. They foster a partnership between parents, teachers and students to create an environment in which parents can be more involved, teachers are given the freedom to innovate and students are provided the structure they need to learn. This week, public charter school supporters around the nation are hosting and participating in numerous activities to mark the movement’s success and growth. The National Alliance for Public Charter Schools (NAPCS) is the national nonprofit organization committed to advancing the charter school movement. The NAPCS works to increase the number of high-performing charter schools available to all families, particularly low-income and underserved families who currently do not have access to quality public schools. NAPCS provides assistance to state charter school associations and resource centers, develops and advocates for improved public policies, and serves as the united voice for this large and diverse movement. More than 1.6 million students attend nearly 5,000 charter schools in 40 states and the District of Columbia.